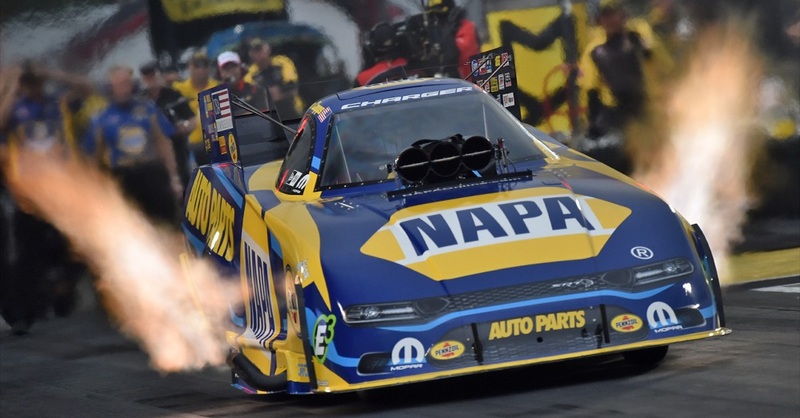 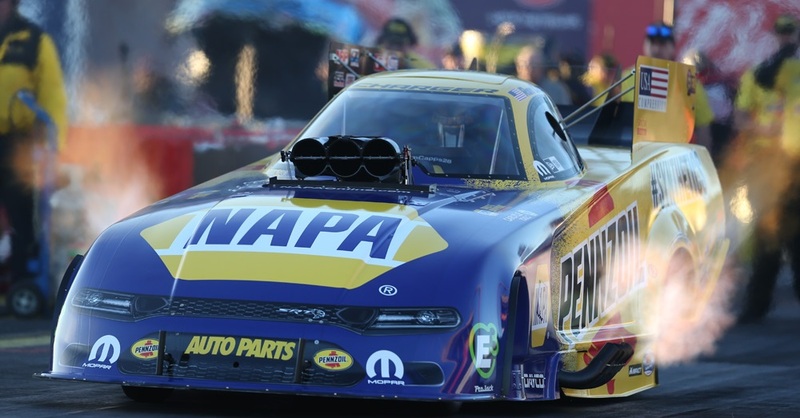 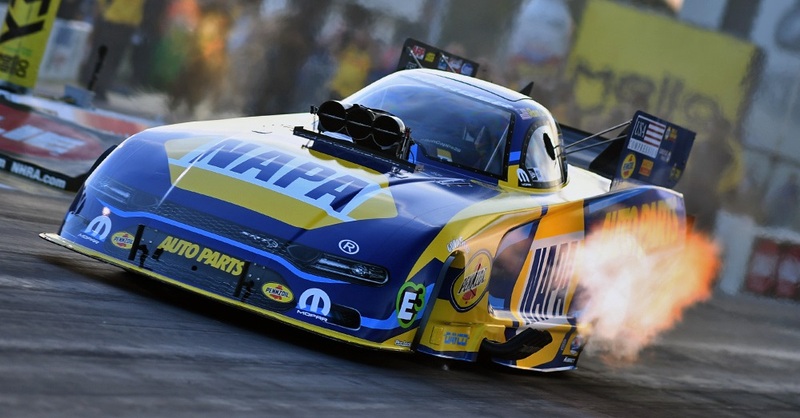 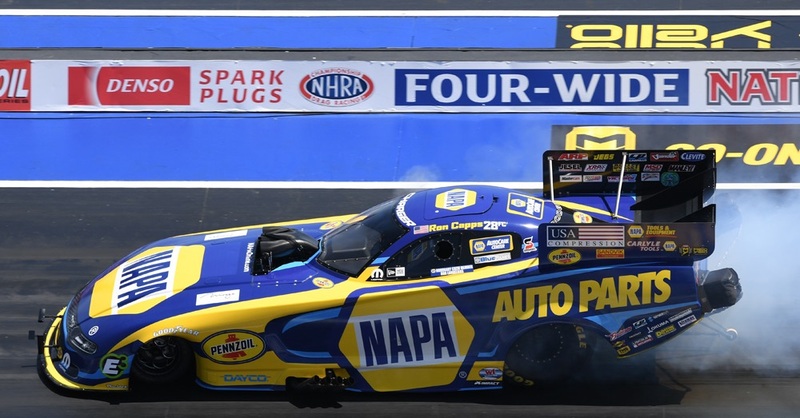 Reigning NHRA Funny Car world champion Ron Capps and the NAPA Brakes Dodge Charger R/T Funny Car team are on a two-race winning streak and hold the Mello Yello Series points lead heading to the NHRA Southern Nationals at Commerce, Ga., near NAPA AUTO PARTS headquarters in Atlanta. 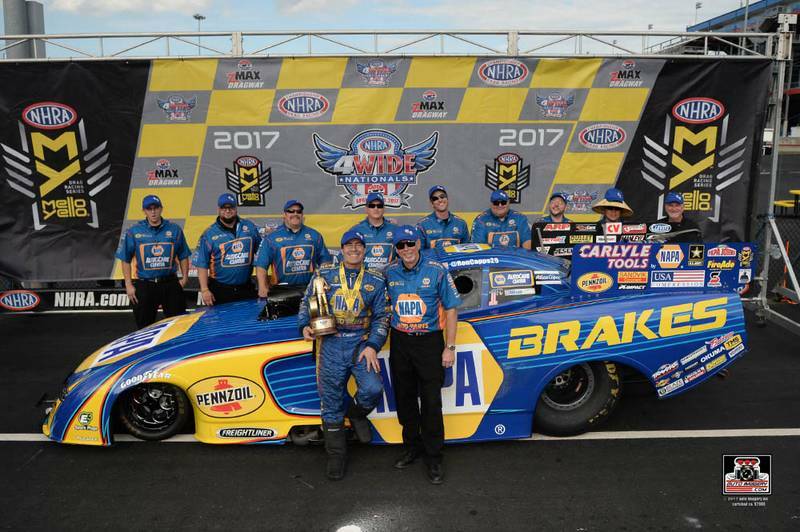 Capps and the Don Schumacher Racing team led by crew chief Rahn Tobler and assistant Eric Lane won the unique NHRA Four-Wide Nationals on Sunday near Charlotte following their win the previous week at Houston. 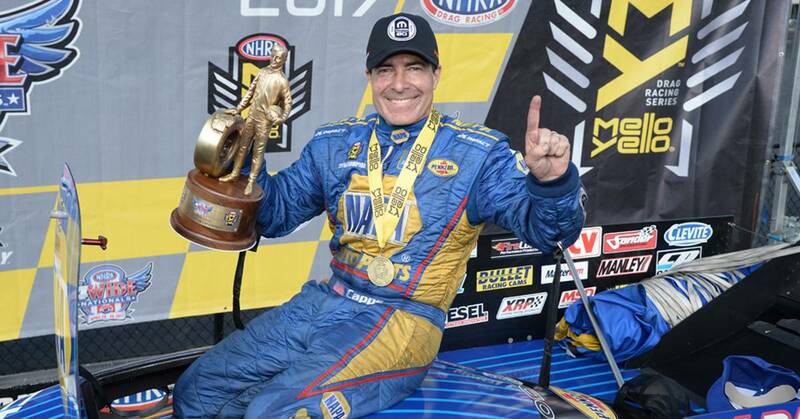 The 52nd win of his career (51 in Funny Cars) moved him into a tie with hall-of-fame driver Joe Amato. 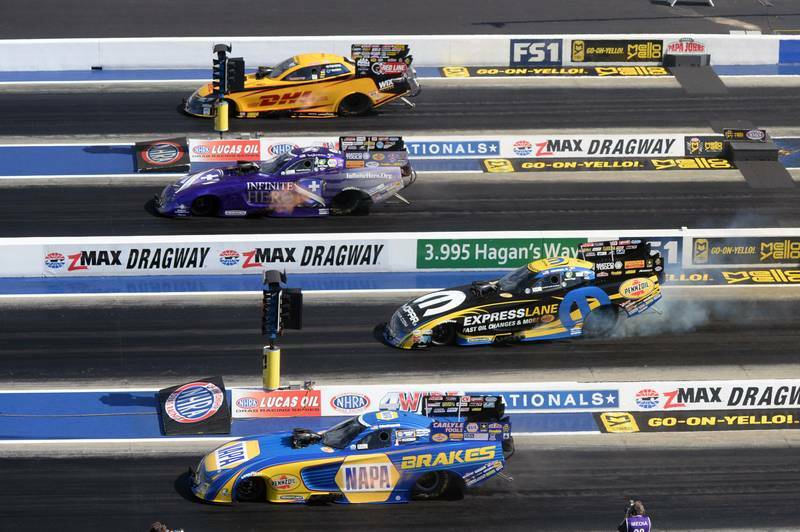 The win marked the 303rd for DSR that has won five of six Funny Car trophies this year.